Quality Workmanship Matters 10,000 Customers Chose Us Because Of Our Superior Workmanship Warranties, Top Of The Line Products & Highly Trained Staff! Tired of suffering through hail damage? Call Jabeau for quality metal roofs strong as steel, tougher than hail! "When I needed to get my roof replaced, I was in need of a..."
Tired of suffering through hail damage? 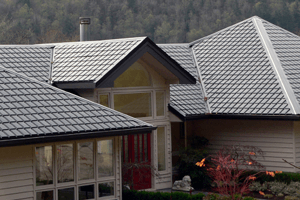 Leave the hail behind with one of our hail-proof metal roofing systems! Do you need residential or commercial roof repairs, maintenance, or replacement in North Texas? If so, the Jabeau is the local roofing company you've been looking for. With over 35 years of experience in the industry, we have the know-how to keep you dry and comfortable. Jabeau was founded by brothers Jay and Keith Lavender in 1979. The company is currently owned and operated by Jay's son Mike Lavender, who has worked at Jabeau since graduating high school in 1982. Mike is a third generation contractor, and every roofing job is always supervised by an experienced member of the Lavender family. We provide high quality, durable roofing solutions to ensure complete customer satisfaction. “Your long term satisfaction is our immediate goal.” That's our motto and we never forget it. It's why we work so hard to give your home or business the perfect roofing solution. We are certified in numerous roofing systems and service a wide range of roofing materials, including asphalt shingles, concrete tiles, flat roofing, wood shakes, and standing seam metal roofing. We are a proud member of the National Roofing Contractors Association, and we are continually striving to improve our training and techniques to provide you with the best roofing services available. Our trained professionals use state of the art equipment and high quality products to ensure that your roof is given a long lasting solution. We're proud of our contribution to the development of metal roofing systems to prevent against hail damage in North Texas. As a result, we have the first-hand experience of what works and what doesn't to protect your home against hail and other weather elements. In fact, we are so confident in the quality of our roofs that we provide an exclusive warranty program. Our lifetime roofing system is guaranteed against hail, and our manufacturer will honor the lifetime guarantee for every metal roof Jabeau builds. If we're putting a roof on, it will be the last roof you put on your house. We have over 35 years experience serving Texas and Oklahoma residential and commercial roofing needs, and we can fix any problem you may have. From roof repair and maintenance to storm damage repair and full roof replacement, we can plan, design and deliver a solution that looks great and performs perfectly. We don't want to do every roof in the area, we just want to do yours. We offer free estimates on all our work, so call us today to get started! We proudly serve in Dallas, Fort Worth, Wichita Falls, Buckburnett, Iowa Park, Randlett, Holliday, Geronimo, Grandfield, Archer City, Walters, Electra, and throughout the surrounding areas.